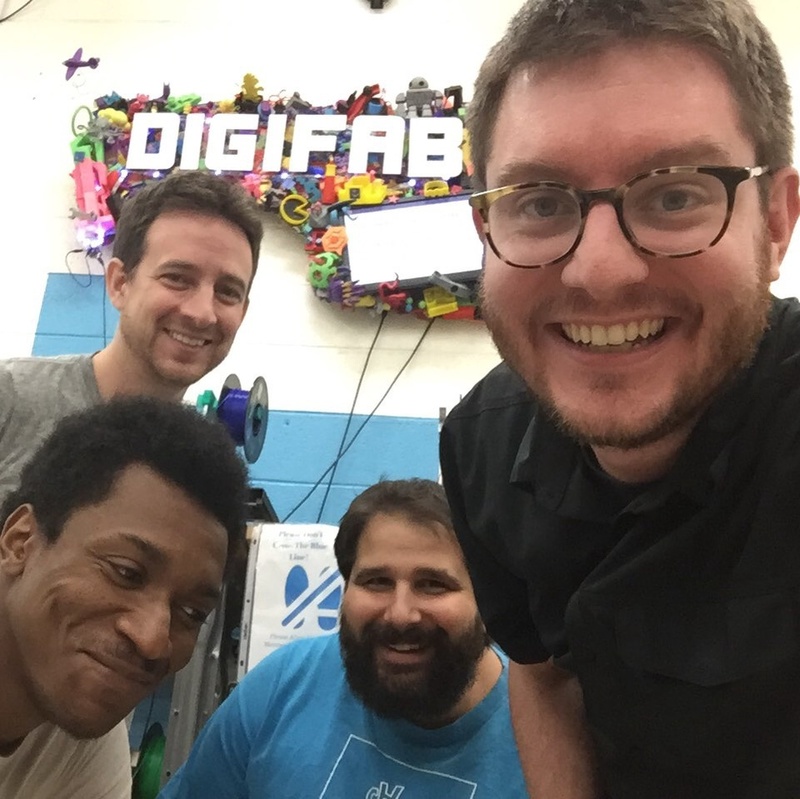 Baltimore's first August 2017 meetup for Homebrew Website Club met at the Digital Harbor Foundation Tech Center on August 9th. djfalcon23 (Derek) – been on break of web dev to learn Android dev. Set up a schedule to work on his portfolio site on Wednesdays. Has a WIP site up at djfalcon23.github.io with a landing page. Next steps are modals to display the content for the main sections, a carousel for other photos. After that, it's time to make a project page for his LED backpack with brake and turn signals for cyclists. jonathanprozzi.net (Jonathan) – started a new Hugo project for his wedding which will be his "Hugo project" so he can feel free to move his main site over to WordPress. Bought and set up a new domain and a new Hugo project for that. polarfire.net (Isaac) – In town visiting Marty. Spent quiet writing hour tracking down the source for his Pelican-based site which was last updated 2014 and getting the dependencies installed. Likes starting side projects, so might port it to Hugo. Many of his projects are related to owning his data on a home server. Next major step there is setting up backups w/ duplicity. martymcgui.re (Marty) – Did some reading from the folks at @meetgretta (formerly signl.fm) and learned about a tool called Audiogram from WNYC. It generates videos from audio files for sharing on silos that have good video sharing support but not audio, which is most of them. Made an example post with an interview with Ben Werdmüller from the This Week in the IndieWeb Podcast that is syndicated to Twitter, Facebook, and Mastodon. djfalcon23 showed a cool use of parallax on firewatchgame.com. Talked about automated captions for audio, showed off some of the Gretta demos. djfalcon23 pointed us to @noopkat, who streams live development and was recently working on similar tools. We hope that you'll join us for another HWC Baltimore, which will next meet on August 23rd and again September 6th at the Digital Harbor Foundation Tech Center!